For the purpose of making the document of pdf from jpg format image, you’d better choose an easy-to-use application which can be accepted by most of people. If you can make the conversion within two steps in no more than 3 minutes, it is wonderful. In this article, you will see this kind of wonderful application. 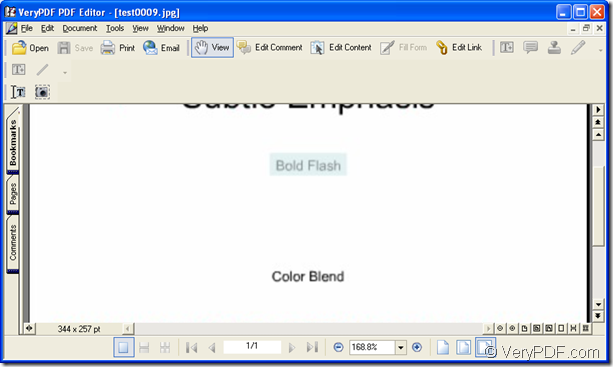 The application PDF Editor is a helpful application for viewing, editing and annotating PDF. You can create PDF from other image formats, or even image on system clipboard with this application. 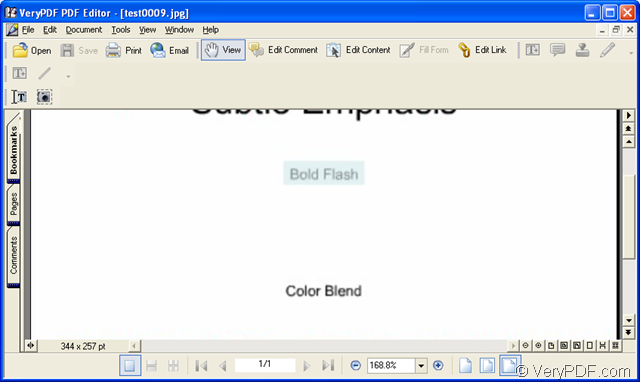 It can edit text, hyperlinks and other elements of PDF, and add comments and annotations to PDF. It can also convert PDF to other formats. So to PDF Editor, it is just a piece of cake to make pdf from jpg format image. You just need to download the application at http://www.verypdf.com/pdf-editor/pdfeditor_setup.exe for experiencing the application for free. Please install it on your computer and you will be able to use the application instantly when the installation is completed. 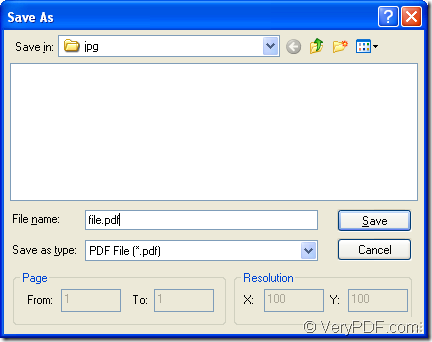 The following contents are all for introducing the way to create pdf from jpg for you. If you are being puzzled by this problem, please read them carefully. The first step in the conversion is to open PDF Editor by double clicking its icon or right clicking the icon and choosing “Open” in the dropdown list. Then the main window of the application will come out on your screen. Please see it in Figure 1. (1) Click “File” to open the dropdown list and click “Open” to open “Open” window. (2) Click “Open” button in the toolbar to open the same window. (3) Use the hot key “Ctrl”+ “O” on the keyboard. 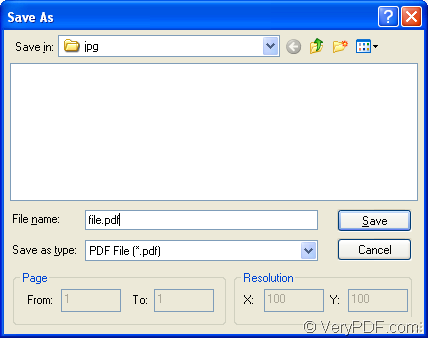 The second step is to save pdf from jpg image in the application. You should click “File”—“Save as” to open “Save as” dialog box. Please see it in Figure 2. There are four steps you should follow before running the conversion. (1) Please specify the location for the target file in “Save in” dropdown list. (2) Input the name for the target file in “File name” edit box. (3) Choose the right output format for the target file in “Save as type” dropdown list. If you want to buy the application, you can enter its homepage at http://www.verypdf.com/app/pdf-editor/index.html to choose different licenses the application supplies.